Huawei launched to the market what are possibly the most interesting smartphones of the whole year. We all thought that the company was afraid of Samsung for not presenting at the MWC, but the truth is that the P20 have little to envy the Korean company. Today we leave you with the 5 keys by which to buy the Huawei P20. Previously we told you everything about it and compared it with other high-end devices like the iPhone X or the Galaxy S9. All terminals are of high quality, but the truth is that in some points the Huawei is a step above. Huawei has been improving for a few years as a company and especially when it comes to making smartphones. It has gone from being a company without much relevance in Europe to being one of the most important. This Huawei P20 lets you take another step towards your goal, to be the most important telephone company in the world. Without further ado, we will tell you what the 5 reasons why we would buy the new Huawei P20 are. If there is something that we liked about the new Huawei P20, it is the design. The renders we had seen so far were nothing compared to the final device. It is one of the best-manufactured smartphones of the moment and no doubt has some exquisite colors and lines. Yes, it has a notch, although thanks to a software configuration it can be hidden and the device has a normal 18: 9 screen. This design is one of the best we’ve seen by Huawei, perfect for people who need a compact smartphone but with a large screen. In addition, the fingerprint sensor is in the front, something we like and what very few devices can boast. Undoubtedly the design of this Huawei P20 is one of the tricks that most attract our attention to make us. This new Huawei P20 has the Kirin 970. It is the same processor that we see in the Huawei Mate 10, but that is up to Qualcomm Snapdragon 845 or the new Exynos. It has artificial intelligence and has shown that it is capable of offering a very superior photographic section. It offers us the surplus performance and is 100% optimized to work on the device, so its efficiency will be among the best in the entire market. In addition to a large processor, we have a base storage of 128 GB. Huawei has not wanted to be foolish and offers us a unique model with this amount of memory. It is enough for all users of the market and we will not have to pay 124 dollars more to enjoy it. Although it is not something new to include 128 GB of memory, it is curious to see how other companies charge you 124 or 186 dollars more for having this amount of storage. 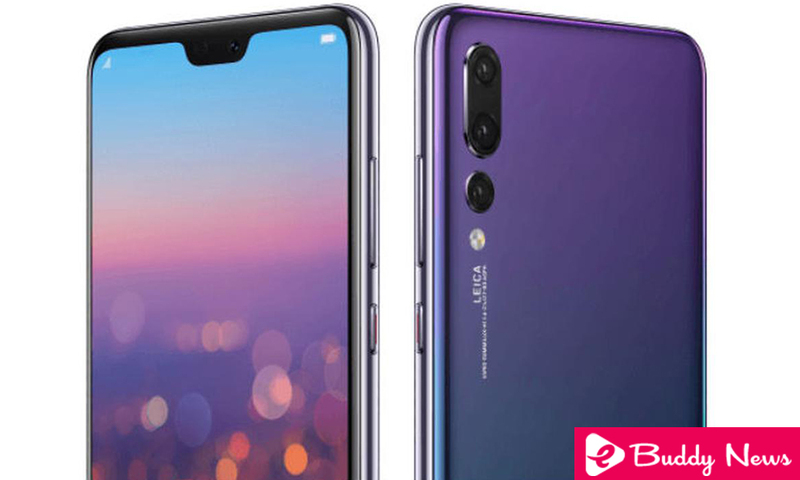 It is possible that this statement will sound like a dream a couple of years ago, but the truth is that according to DxOMark Huawei has achieved the first and second place in its list with the Huawei P20 Pro and P20, respectively. It is true that this Huawei P20 is not the best, but it has a camera that surpasses all other high-end and capable of doing amazing things. Huawei has shown that knowing how to make cameras and without a doubt, this is the most important incentive to buy this mobile. Luminosity, shooting speed, dynamic range, everything in this camera has an incredible score and although we have not yet thoroughly tested it, it is already the most important reason to get this device. Yes, Huawei left us somewhat surprised at the presentation. The new P20 has a battery of 3,400 mAh, a figure that exceeds almost all the high-end of the moment. But the most incredible thing is that this is one of the finest in the market. It only has 7.65 millimeters thick and includes about 600 mAh more than the iPhone X, being this slightly thicker. If we add to all this that the Kirin 970 has a much more remarkable efficiency than processors like the Snapdragon 845, we have an autonomy that could surpass the rest by much. All this for 804 dollars? You are right! Although the most important reason is the camera and the design, the price cannot be ignored in this list. The Huawei P20 has a price of 804 dollars, becoming the high end with the best quality/price ratio at the moment. It has the second best camera, costs 310 dollars less than the ‘Pro’ version, has an exquisite design, an incredible battery, Android 8.1 Oreo, one of the best performances and is about 186/310 dollars below its most direct competition. For all this, at this time we would buy the Huawei P20 without hesitation, although if you prefer to be sure, you should wait for our full analysis.